But if you’ve got time and patience, you will be rewarded with one of the most biodiverse destinations in the world. Madagascar is home to thousands of species of flora and fauna of which almost 90% cannot be found anywhere else in the world, including the famous lemurs which are only found in Madagascar. That´s actually a lie; there is one spice of wild lemurs on Comoros. 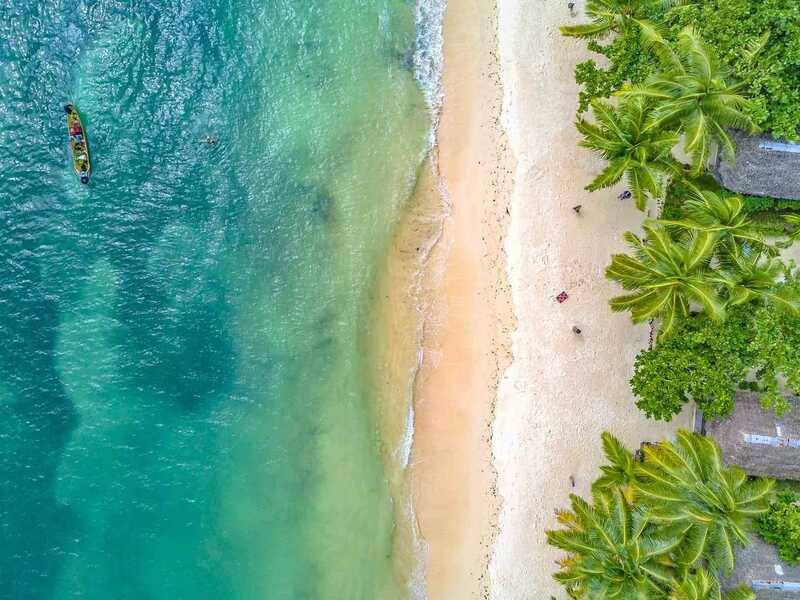 Madagascar is also home to some of the best and most underrated beaches in the world together with some breathtaking nature and scenery. All the information provided here is from my experience travelling around Madagascar in April 2017. Visas are required for everyone visiting Madagascar. You can obtain a 30, 60 or 90-day visa at all international airports. 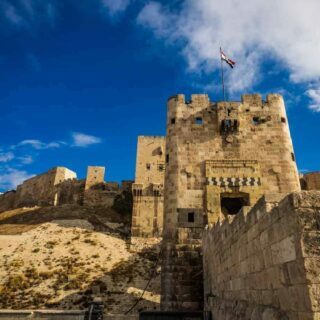 Despite what the guidebooks say, the 30-day visa is NOT FREE. 30 Days: 27 USD or 25 Euro. 60 Days: 50 USD or 45 Euro. 90 Days: 65 USD or 60 Euro. The fees are only payable in cash. There are no ATMs or money exchanges before immigration and customs, so be sure to bring cash with you to pay your visa fee. No passport photos are required, but a Yellow Fever vaccination certificate is (depending on your travel history and the countries you’ve visited). The visa sticker takes one full page in your passport. Arriving At Ivato International Airport (TNR). The main airport in Madagascar is located 20 km northwest of Antananarivo, the capital of Madagascar. BNI Madagascar and Bank of Africa are both located after immigration and customs, and they both offer currency exchanges and ATMs. Unlike lots of airports, the exchange rate at Ivato is pretty good, so it’s fine to change up money here. There are also three small mobile-phone shops selling local sim cards for the three main providers in the country, Orange, Telma, and Airtel. The shuttle bus between the airport and the capital is NOT running anymore, so the only way to get to town is by taking a taxi or arranging an airport-pickup via your hotel. Because of traffic, the drive from the centre could take anywhere from 40 minutes to almost 2 hours if you get stuck in evening or morning traffic. The price to the centre of Antananarivo is circa 40 000 Malagasy Ariary in the day, but remember to bargain. And at night it will set you back 50 000 Ariary. NB. The local currency is NOT accepted after immigration on departure. Only USD/Euro are. So be sure to get rid of your local Ariary before you go through immigration on departure. If not will you be stuck with your Ariary like me. The local currency of Madagascar is called Malagasy Ariary (MGA), just called Ariary. British sterling didn’t seem to be a popular currency to exchange. Every city and decent-sized town have numerous ATMs these days, and the two main banks are BNI Madagascar and Bank Of Africa. Both accept Visa, Visa Electron, and MasterCard. None of the banks charged me bank fees when withdrawing money. Every bank seems to be able to exchange USD and Euro, but you will need your passport. Wifi is available in most mid-range hotels and guesthouses around the country, but the speed is slow outside the big cities. 4G mobile connection is available in Antananarivo and Tamatave. In smaller cities a 3G/2G connection available. There is rarely an internet connection in smaller towns and on the road between most places. Orange, Telma, and Airtel all sell sim cards for 40 USD with a 3GB data package on arrival at the airport. Travelling around Madagascar takes time and is very slow even by African standards. Of the now 101 countries I have been to, I will go so far as to say that Madagascar is one of the slowest and most uncomfortable countries to travel around in the entire world. The only other country I have visited that can be compared to Madagascar is Mongolia. So if you find travelling around South East Asia, India or mainland Africa uncomfortable, Madagascar is definitely not for you. But if you like a bit of adventure and have plenty of time, Madagascar is definitely the place to go. I stayed 16 days in Madagascar and travelling around the island took A LOT more time than I was expecting, so I wasn’t able to visit even half the places I wanted to before I left home. Don’t expect to be able to visit big parts of the country if you only have two weeks and are taking local transport. If you want to cover big parts of the country in a small amount of time, the only way is to rent a 4WD car with a driver for 65 USD + fuel a day. The usual way to get around Madagascar is by taxi-brousse, which are usually old Mercedes minibuses that can never be too crowded, stop every time someone wants to get on or off, and only depart when full. So there are no scheduled departures and arrival times can vary by up to 12 hours depending on when it left. On a taxi-brousse, you’ll get chickens, ducks, and local people falling asleep on your shoulder. Taxi-brousses are OK for shorter distances, but when you’re 180 cm+ tall like me, your knees and back will be done after hitting the seats in front of you for hours. But things are improving with Cotisse Transport. This is a new local-transport company that leaves on time, so if you’re 5 minutes late, they will have left already. They even offer wifi onboard and only one person to each seat instead of 3 as on a normal taxi-brousse. Cotisse Transport doesn’t offer online booking, but you can book your ticket in advance by going to their office. It’s also important to show up a MINIMUM of 30 minutes before departure to register that you are using your ticket and going on your trip and to load your luggage if you have it. The Photo I took of Cotisse Schedule around Madagascar. 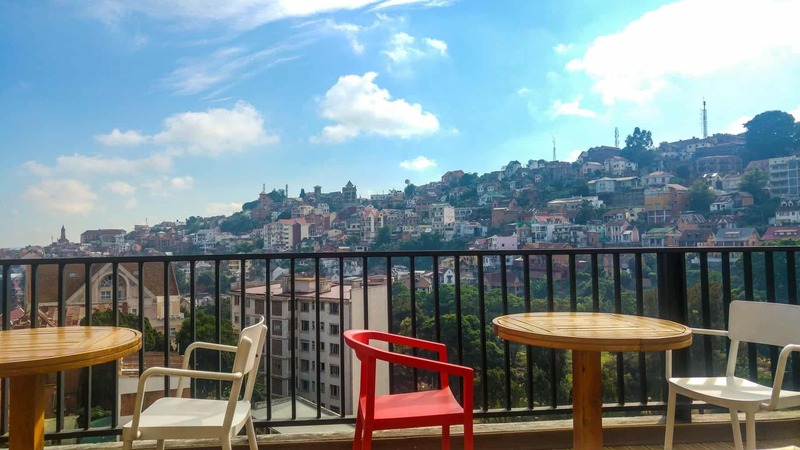 When travelling around Madagascar, you’ll have to pass through and most likely spend the night in Antananarivo each time you want to head to a different part of the country. During my trip to Madagascar I transited the capital three times, and each time I had to spend the night there. I personally didn’t have any problems in Madagascar, but a lot of travellers I met had been pickpocketed or had stuff stolen from their luggage when taking a taxi-brousse. There are A LOT of beggars in Madagascan cities, and most of them are young children. Most of them respect your “no,” but you do come across a few young “pricks” who go straight for your pockets. You are required by law in Madagascar to carry your passport with you all the time. If you don’t have it on you and get stopped by the police/military, you are required to pay an unofficial “safety fine” of around 10 000. If walking around after dark, there is a higher chance of getting stopped. This is especially true in Antananarivo and around Place de l’Indépendance where I was stopped four times during my visit. As a single white male walking around you do get some hassle from local women, especially if you’re going out drinking. You will see a lot of older white men with young local girlfriends in Madagascar, similar as you see in Thailand or the Philippines. On the other hand solo western women shouldn’t face too much unwanted attention, but you shouldn’t walk around on your own after dark at all. The main language in Madagascar is Malagasy. It’s spoken by everyone. French is the second official language, but every French tourist I met was surprised how FEW locals actually spoke French outside the big cities. VERY VERY few people speak English. I don’t speak either Malagasy or French, but I still found travelling around Madagascar easy. The locals were always very helpful and eager to help you out even when we couldn’t speak the same language. The newest edition of Lonely Planet Madagascar June 2016 Editon is pretty accurate and helpful when it comes to transport. But it seemed like EVERY hotel and restaurant (as always) had increased their price since the book came out. For example, La Banane hostel on I’ll Sainte Marie is priced in the book at 5000 Ariary for a dormitory but the price in April 2017 is 18 000. Hotel Eden in Tamatave is 16 000 in the book, but the price now is 28 000. All the restaurants in the book seem to have increased the price by about 5000 for each meal. A few of the hotels in the book have been shut down for years like Hotel Frederic in Tamatave, which is just a pile of ruins. The boat service Melissa Express recommended in the book to get to Isle Sainte Marie from Tamatave doesn’t run anymore either. Malagasy cuisine is heavily meat-based, and every meal seems to come with rice. The most popular dishes in Madagascar is zebu meat (the local breed of cattle). Almost every restaurant, even small local ones, served zebu steak or a zebu stew. Chicken, duck, and seafood are also always available. For vegetarians fried rice with vegetables or noodles with vegetables are the most common dishes. 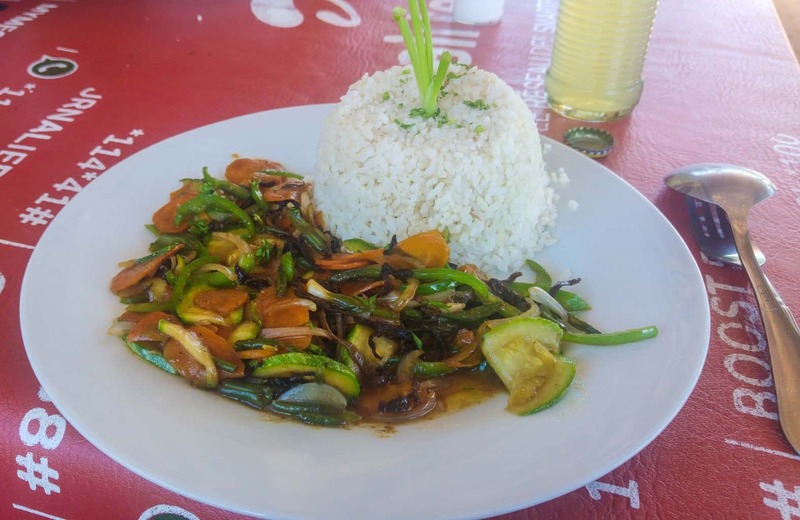 But there is always a vegetable-based accompaniment to go with rice and lots of eggs available, so being a vegetarian (or even vegan) in Madagascar isn’t a problem. What a 35 000 Ariary Zebu Steak will look in one of the restaurants in the country. Only drink bottled water. Bottled drinking water is available everywhere together with coca cola, Fanta ananas (it’s great) and alcohol too – especially the local flavoured rum (Rhum arrange) or the local beer brands like Three Horses Beer (THB), Castel, Queens, and Skol. While the locals often drink rum because it is much cheaper than beer, the quality of beer in Madagascar is one of the best in Africa. At a restaurant, a big bottle of beer is often the same price or even cheaper than a bottle of water. Madagascar can be done pretty cheaply if travelling on a budget, but you will have to be travelling very rough and taking local transport. Hostels with dormitories are only really in the capital and very few other destinations. So travelling with a friend will bring the cost down A LOT. For EVERY national park are you required to pay a daily entrance permit and to have a guide. National park tickets are between 55 000 (17 USD) – 65 000 (20 USD) a DAY. Guides are normally around from 15 000 (5 USD) a day. If you want to go to remote places and some national parks, hiring a 4WD car with a driver is often (always) the only option. Check out the most popular hotels for people who want to share. The standard price is 65 USD +fuel a day. Cheap: Around 20 USD a day. Transport: Local taxi-brousse – 15 000 (5 USD) between big cities. Food: Local street food and local restaurants. 2000 (0.6 USD) for eggs and toast with coffee for breakfast. Dinner at local restaurant, 7000 (2 USD) for rice with zebu steak. Midrange: 45 USD a day. 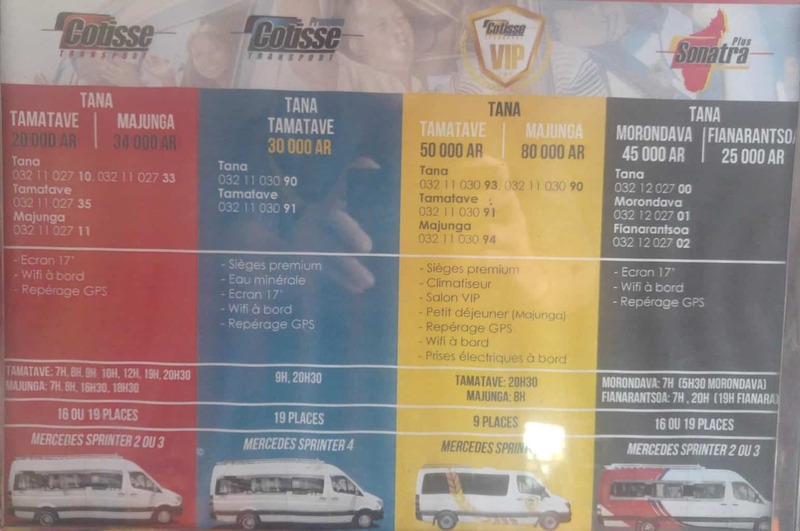 Transport: Cotisse Transport – 20 000 (6 USD) to 30 000 (10 USD)for Premium. Accommodation: 90 000+ (30 USD) room with aircon, normally a very good standard. Food: 15 000 (5 USD) a meal, a great meal in a normal restaurant. Flashpacker: 150 USD+ a day. Transportation: Private 4WD with a driver, 65USD + fuel. Accommodation: 70 USD a day. Great hotels to a high western standard often with breakfast buffet. Food: 35 000 (11 USD) A great meal in some of the best restaurants in the country. Flashlight: There is almost no street light in Madagascar – even the big cities have no light after dark. Power blackouts are very common outside the main cities. Powerbank: It is common to only have electricity for a few hours a day in remote places in the country. Some days there is no electricity at all. Bug spray: There are tons of mosquitos and other annoying biting bugs in Madagascar. Waterproof: Something waterproof for your bag. Your backpack our suitcase will be put on the roof while taking local transport and it rains a lot on Madagascar. High-factor sunscreen: Difficult to find and expensive to buy when you do, so bring plenty if you burn easily. The power plugs in Madagascar are the standard European standard 220V dual pin power plugs. Everyone except mainland Europeans will have to bring a power adapter. Overall Madagascar is a great country to travel around. But you will need more time to explore Madagascar than you would normally need for other countries. I was able to see A LOT less in my 16 days on the island than I would be able to do in most other countries in the world at the same time. You will also have to spend more money on Madagascar for a comfortable trip than you would have to do in other countries. But if you have the time and are up for an adventure, Madagascar is an amazing destination. I’d definitely like to come back to Madagascar in the future, but I will be sure to have more time next time. 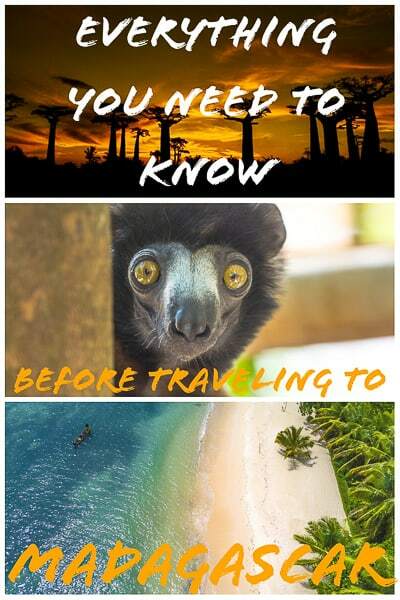 Thank you for this post on Madagascar essentials! Definitely very helpful! Great post and thanks. Just a question if I may, if one did not have a lot of time in Madagascar, what would you recommend to the be absolute must sees/dos. 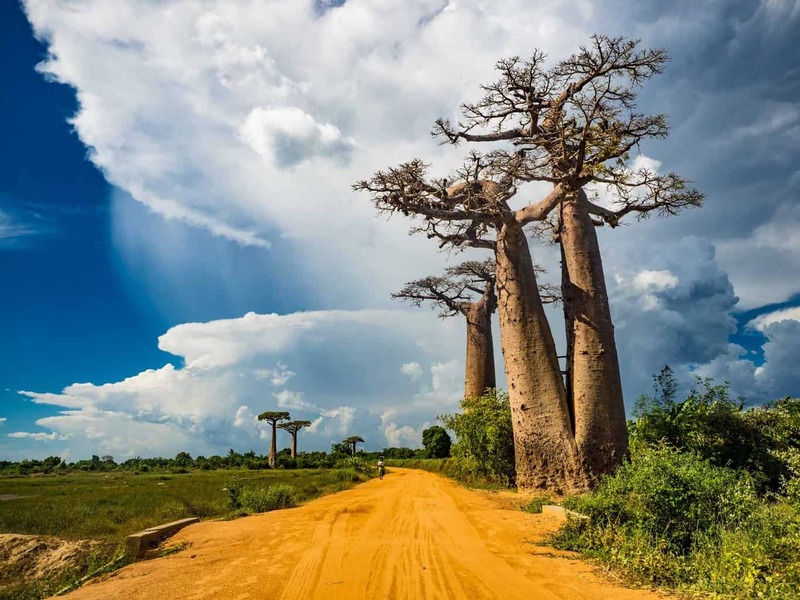 If you have very limited time would I say, either go west and visit the Avenue of the Baobabs outside of Morondava, that´s by far the most famous site in all of Madagascar. If want to see some wildlife head south to Fianarantsoa and visit the National Parks in the area. Just don’t spend any more more time than necessary in the capital. What an awesome article, I found this so helpful, especially as it is a difficult country to get accurate information about! Thank you! Thanks so much for your advices ! In your article you mention that you were gone 16 days. Could you share your itinerary so it would give me an idea of what we’ll have the time to do in 30days? Thanks! Day 5 Morondova with Avenue av Babaos. Day 16: Capital and fly home. Thank you for your hemofilie artikel! We are planning to go 21days in september and want to see pretty much the same as your itinerary. You say the Melissa express no langer exists, but which boat did you take to sainte-Marie? Did you take the cotisse express for all of your drives? I used a company called GASIKARA Be, bus transfer is included from Tamatave, the boat is a smaller but faster boat. And it was surprisingly comfy. Just be aware if there’s bad weather will the trip be canceled. Yes I used Cortisse busses for all my longer bus journeys and I will highly recommend them. I took a few local busses on shorter distances and they where horrible compared to Cortisse. Hi! What time of year did you go? We were deciding on a small tour group co. Or going on our own. Your blog has definitely swung the balance.toward the 21 day organized tour.. I would say Madagascar is fairly easy to travel on your own, but if got limited time so are a organized tour the way to go. Especially because of the slow transportation. I just book a trip to Madagascar for under a month. I’m into photographing and really would like to meet someone there who could help me out. I’m looking to see as much as I can? Any info would be cool. Where do you stay in morondova?? And do you take a tour to Avenue of the Baobabs or how you visit the place?? The Hotel offer rooms from 18,000 – 35,000 Ariary. A taxi between Morondova and The Avenue of the Baobabs will cost you 50,000 Ariary for a return trip, with the driver waiting for you after the sunset. If you also want to visit the Baobab Amoureux, it will cost you an additional 20,000 Ariary. The 2,000 Ariary parking fee at both the sites are extra. 1. Do you suggest to travel on my own? 3. Is it easy to find the booking office both Tana and Morondava? 4. 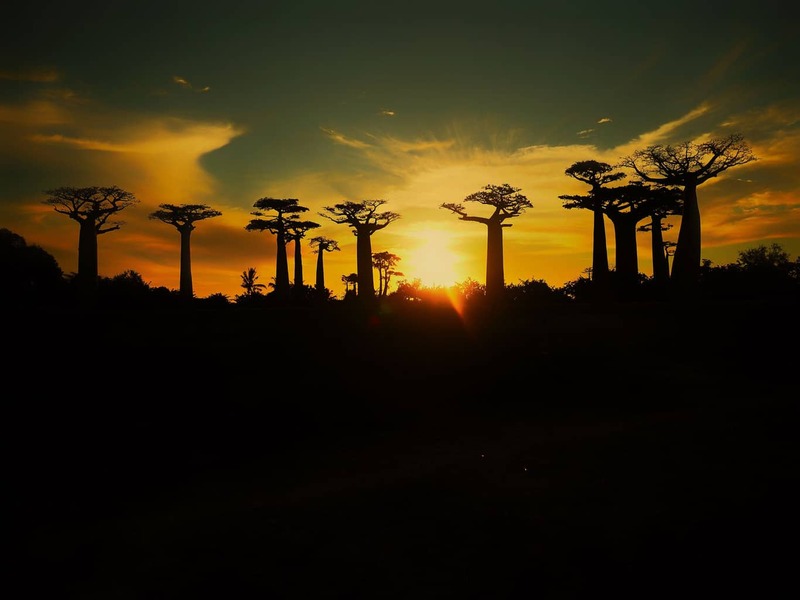 Is there package for sunrise and sunset at Baobab alley from Morondava? 1. 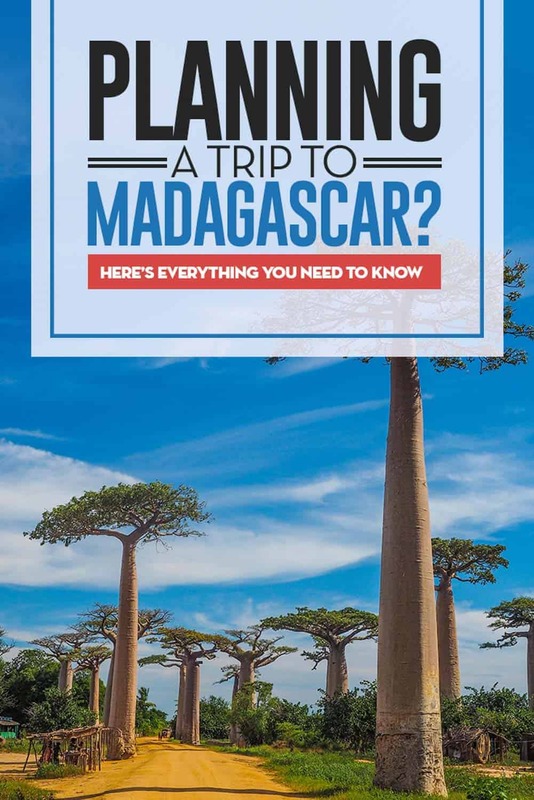 Madagascar is, in general, a difficult country to travel around, except for the Avenue of the Baobab this is one of the easiest places to visit on your own. Take Cortisse to Morondava. And then take a taxi there, or get the hotel to arrange a guide. Should cost you less than 40Usd. 2. I got my hotel in Antananarivo to book Cortisse over the phone for me. I would recommend you to do that. 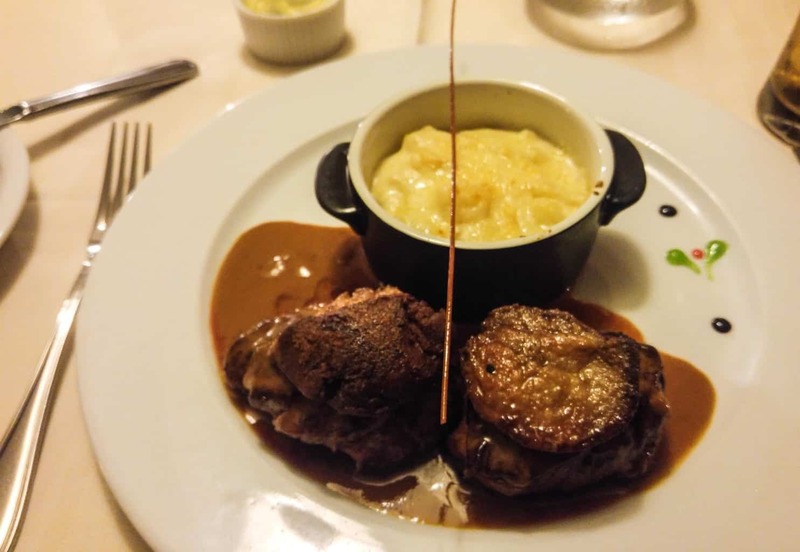 Cortisse was very popular and I met other tourists that had to wait for a few days since it was fully booked. 3. All hotels in Tana and Morondova can help you with booking. 4. Yes, I saw a lot of hotels in Morondava offering sunrise and sunset package. Did you consider internal flights instead of taking one whole day to move from one place to the other? Is Air Madagascar a reliable company? I did check Air Madagascar, but they are extremely expensive for foreigners (locals has huge discounts) I checked a few flights and the price was 500/600euro for short flights. Thank you so much for all your fantastic information, we are going in September 2018, travelling with GAdventures for 23 days. Our trip finishes in Morondova, is it easy enough to organise a car with driver once we get there? Thanks again so looking forward to our trip. Brilliant article! We’re going at the very end of September (for only one week unfortunately as we don’t have much holiday), so the info you provided about the difficulty and slowness of travel is really helpful. One big worry I have is the mosquitoes. Unfortunately I’m allergic to mosquito bites and anything above three bites can put me out of action foe about two to three days, and is also extremely painful. I was banking on the fact that late September being the end of the dry season, there wouldn’t be too many but your statement that there are *tons* of them really set alarm bells ringing, because even when taking the most extensive precautions imaginable and being the target of much fun for doing so (and I always do including travelling with a mosquito net) I’m such a magnet for them that I always end up being bitten whenever there are a lot of them around. Is it really true that there are *tons*? Does that mean everywhere in the island, even during the daytime? During my visit in April, so was the mosquitos all day, unfortunately. During the daytime, was there only a few, but during dawn and evening was it often unbearable and tons of them, I often had to put on long sleeves and use a lot of mosquito spray (bring the spray from home, was almost impossible to get it in Madagascar). But the situation might be better when you are going in September? Hello Mr Christian, Im Thinking To Becomin A Citizen In Madagascar. Is Their Any Possibity About It? Very accurate and helpful informations on our beautiful country. I appreciate that you were quite positive about your stay despite the numerous setbacks. What a pity you only noticed too much negative things about my country. Hope you will see Madagascar differently next time !